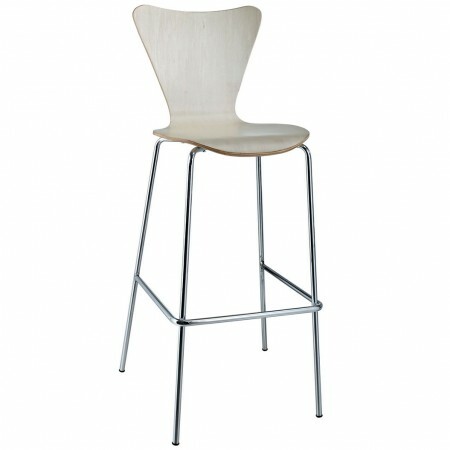 Ernie modern bar stool in natural finish full seat and back completed by steel legs. Minimalist in nature though it may be, this seat doesn't skimp on comfort. Its seemingly rigid design, flexes to the contours of the human body, making it a great side chair for homes and businesses alike.